For more info on the Kahele OC1 Canoe, visit https://www.puakeadesigns.com/kahele. As an exceptional technical coach, John has helped push world-class paddlers to the next level in international competition. 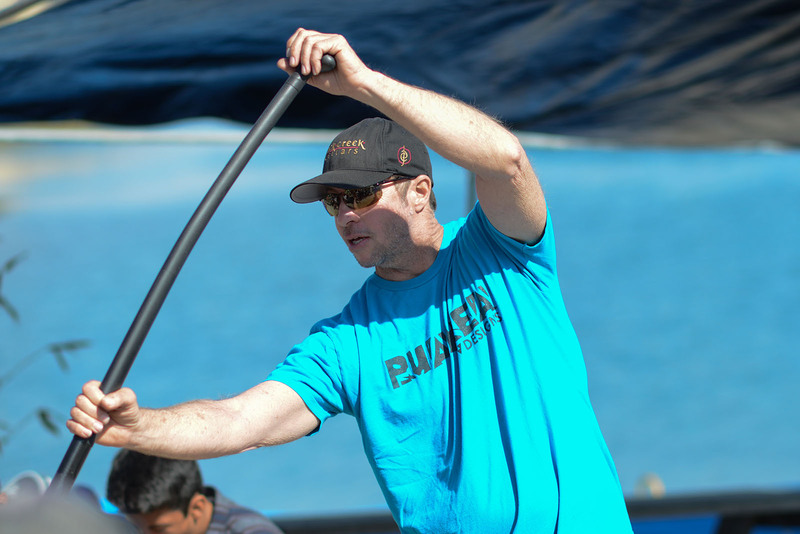 His ability to improve the performance of already-elite paddlers also led Team Bradley to consecutive first-place finishes in the Molokai-to-Oahu Na Wahine O Ke Kai, and to the fastest crossing time by any women’s team in the history of the race. Johnny has also coached top OC1 paddlers like Jimmy Austin, Danny Ching and Lauren Spalding. John’s knowledge of body mechanics complements his strengths in canoe building. His top-performing designs include the Kaimana, the Kainalu, the Pueo 1, the Ehukai—and the new superstar, the Kahe Kai—all OC1 canoes. New in OC6 production, is his very fast Puakea Unlimited (Malolo) canoe, owned by various West Coast mainland and international teams in anticipation of top times in this new ultralight division. Top Tahitian team, Shell Va’a, chose John’s Makika OC6 design for the grueling Olamau Race in 2013, and won in all three stages. John’s inherent craftsmanship and design finesse come from an early indoctrination into canoe culture by his father, Bobby Puakea, beloved coach, renowned wooden canoe builder, and Puakea Foundation of Hawaii founder. While traditional sensibilities and a duty to cultural stewardship inspire John’s designs, speed considerations drive the end product. John’s elegantly styled canoes are among the fastest and race-proven on the water anywhere in the world. 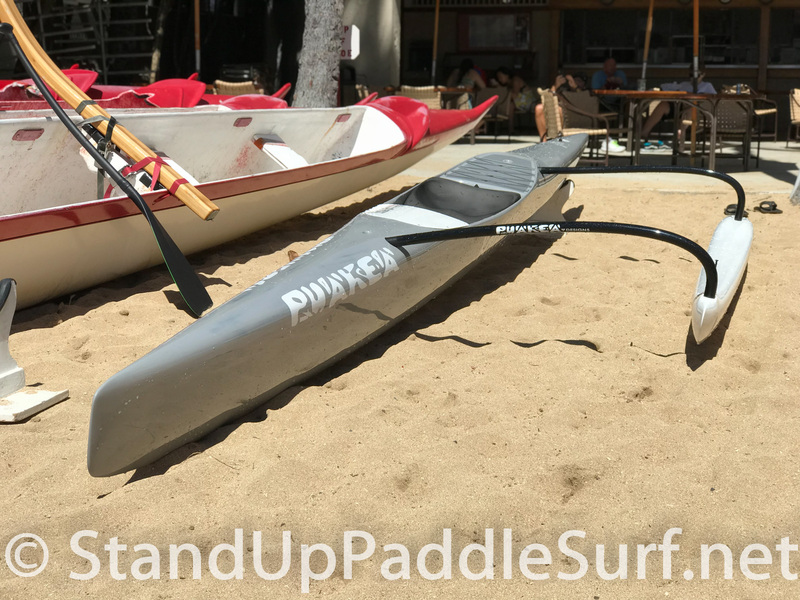 For the wider paddling community, John is continuing to advance paddling performance with this new line of products, including outrigger and SUP paddles, applying the same technical and aesthetic standards used in his OC1s and OC6s. Additionally, John is also available (depending on his schedule) for coaching for clubs, groups and paddling events.